Facebook is turning into a full-fledged media company as it tries to compete with other video streaming services like YouTube and Netflix. Companies are pouring millions into online video production services, usually in the form of easily digestible, short clips that appear on a user’s News Feed. When it comes to posting videos on social apps like Facebook, shorter videos are usually better because users tend to have a short attention span. However, Facebook’s new video algorithm is changing the way we think about online video content. If you’re in the business of posting videos on Facebook, take a moment to learn about what these changes mean for the way users experience your content. 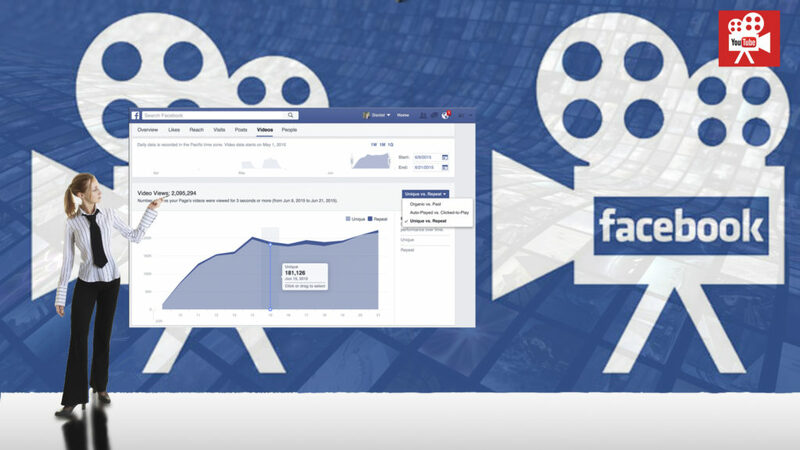 The new Facebook video algorithm is designed to promote the videos that are most popular with users. The algorithm monitors and rates videos based on how long users are tuning in, otherwise known as the completion rate. If you upload a video and users are tuning out after the one-minute mark, your video will rank higher in the news feed than if your users are tuning out after just 30 seconds. But shorter videos no longer have the market on shareability. Early in 2017, Facebook tweaked its video algorithm so that longer videos don’t fall by the wayside. The completion rate is now adjusted based on the length of the video. For example, if a user watches seven minutes of a ten-minute video, that video is going to get a bump as opposed to a three-minute video with users only tuning in for only about 90 seconds. Overall, this means that longer videos are getting a bump in users’ News Feeds. Before, Facebook punished filmmakers and companies that published longer videos if users were only turning in for a small percentage of the total video. Now, longer videos will get to compete with short-form content. Short 60-second videos won’t disappear entirely, but Facebook is determined to make room for longer pieces, even if the user doesn’t watch the video all the way through to the end. You might be asking yourself, why is Facebook making all of these changes? The answer is that while Facebook wants users to engage with content that they actually enjoy, Facebook also wants to attract top-tier talent. Facebook is dying to be the Amazon of the video community, so they’re casting a wide net. There are plenty of places online like Instagram and Snapchat where users can get their fill of 30-second clips, but Facebook wants users to engage with content for longer periods of time. So even if a video is over the ten-minute mark, that video will rank higher in the News Feed if people are tuning in for a sizeable period of time. 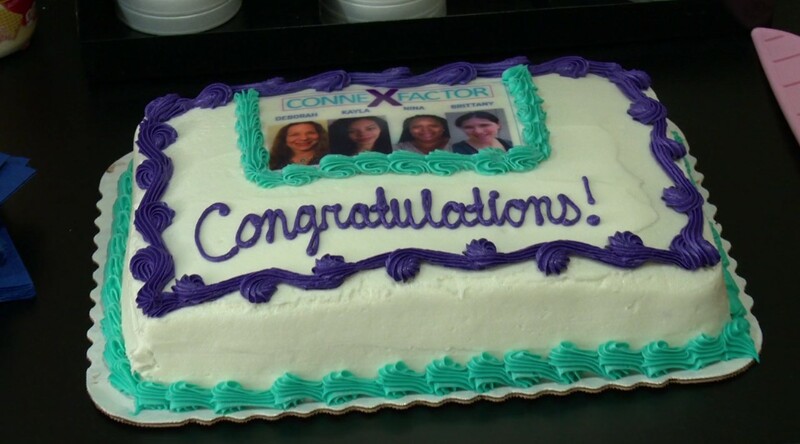 If you’re looking for a quality Connecticut based video production company that will help your organization utilize online video to succeed, come to Geomatrix Productions for the latest in online video creation and distribution. The best-run organizations continually look for ways to make every dollar yield double or triple value, even when producing a company video. That is called profitable spending. All companies realize it is vital to have an online presence. Furthermore, 65% of all online traffic involves video, which means the first touch a prospect might have with your organization will be through video. Small and midsize organizations need a robust and attractive brand image, and they work hard to support that image. To get their message out to their market, most business people realize that a high-quality company video is a fantastic way to tell their story. Unfortunately, many owners and CEOs also think that videos are cost prohibitive, but that is changing. A video should be part of an integrated marketing plan designed to reach a broad audience that may include future customers. Planning to shoot all images and interviews in one day reduces travel and setup costs, and can cut the total shoot budget by 50% or more. This savings is typically accomplished when all interviewees are ready and available on the same day. A compelling brand video reveals your core principles to a vast audience and pre-sells prospects on the advantages of doing business with you. This type of message shortens a sales cycle and lowers the cost of sales. 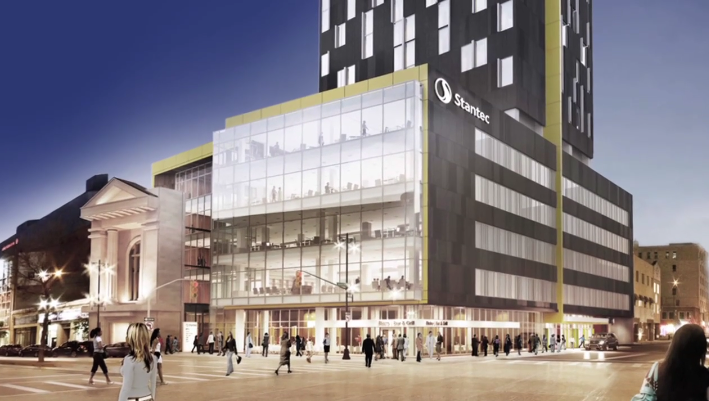 Stantec is one of the largest design, engineering, architecture, and construction firms in the world. They understand and design structures that harmonize with the vibrant communities in which they design and build. To reinforce their unique brand, management wanted to create a video that accentuated how brilliant design concepts work with a community’s style. At the time management was considering the video, their top designers and architects were traveling to Stantec in Boston for an unrelated business meeting. With the design team on site, senior management thought it would be the perfect opportunity to leverage their travel expenses and create a two-minute company video emphasizing the firm’s unique design culture. Their first idea was to shoot a video of the designers participating, as a group, in a meeting. After discussing other options with Geomatrix Productions, it was decided that shooting each designer in a private setting, one-on-one, and interviewing them about Stantec’s capabilities would have the most impact. The team considered the video project from multiple angles. Nothing was left to chance. The result was a smart, thought-provoking brand video that distinctly set Stantec apart from other design firms. Moreover, Geomatrix produced the video in a way that maximized efficiency and stayed under budget. The Geomatrix team prides itself on finding practical ways to reduce your production costs, all the while creating a stunning visual experience that far exceeds expectations. Profitable spending is just part of our culture! Marketing and advertising dollars are a precious resource to be spent wisely. Traditional methods of marketing such as direct mailers, billboards, newspaper and TV ads for local professional services have diminished in their effectiveness. Why? Because the internet has changed everything. Remember the yellow pages? It was just a few short years ago that we let our fingers do the walking. Now our fingers do the typing in Google and YouTube search bars. Marketing has become a science of keywords, search terms, content, PPC, rankings and relevance. To complicate matters, the formulas and the rules change frequently giving marketers yet another metric to monitor. So, what is a thought leader? Not bad. Actually it sounds pretty good, right? A thought leader invites interest by not only demonstrating but sharing their expertise with a defined target audience. 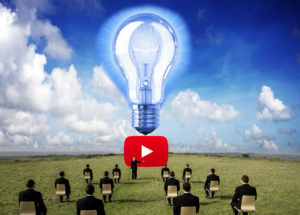 A thought leader video goes one step further by creating visual engagement. Old-school marketing shouts – buy from me, I sell what you want, I’m the one you want. The problem is, they shout out to a wide and generalized audience in the hopes that the one who needs them is both in range, and more importantly, in need. For example, let’s pretend you are a lawyer. You do general practice stuff like real estate closings, trusts and bankruptcies, but you want to do more wills. There are many print and online publications that target the folks who are looking for those services – and you can place advertising. But, so can every other firm who is looking to do the same thing. With thought leader marketing, and more specifically, with a thought leader video, you hit the target audience that is looking for the exact service you provide, when they are looking. How? By standing out from the crowd. Provide the audience with helpful information about wills such as; How to Choose an Executor, or the Responsibilities of an Executor, or even, 5 Reasons Why You Need a Will, even if you are not a rock star. When that potential client is searching, with proper keyword and online placement, they find you, the expert in their area of interest. They learn something from you, and are directed to your website where they find even more information. So, what’s better; an expensive ad shouting to the masses, or a well-produced video that demonstrates that you are an expert, and the right choice? Creating thought leader videos need not be a daunting or expensive task, yet they should not be done with an iPhone. Work with an experienced video producer who can tell your story through interview with you, or who can help you refine your message delivered through the camera lens. 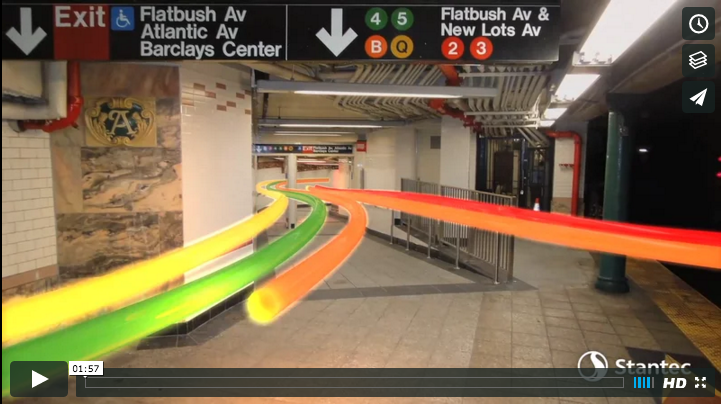 Graphics can enhance your video, making it even more instructive and understandable. Your company or personal branding should be clear and consistent across many segments, and there is strength in numbers. Plan to produce several videos at once for production economy. Consider producing a six-pack of videos all on the same day. Spend some time planning your subjects, drafting your content and preparing for your close up. Think of all the time you waste in initial consultations with prospective clients. 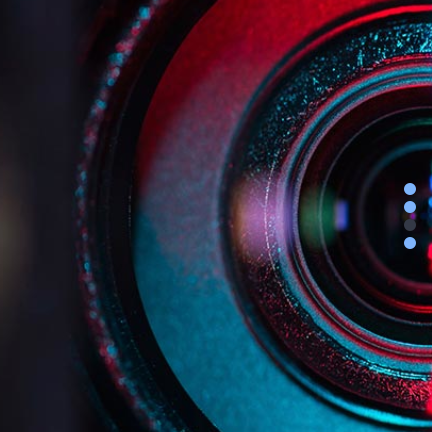 If you can provide all that detail in a video, you save non-billable time for making the more personal connection that closes the deal. Great topics for thought leadership also include success stories, case studies and even client testimonials. When you create several videos at once, you can choose to deliver content over time and align release with your marketing goals. Profits – that’s the bottom line is it not? At last, the shoot day has arrived and you are ready to roll. But WAIT, what should you and your team wear? Plan to bring several ironed shirts/blouses or sweaters to give the crew some choice of the color. Also, you might want to change for some of the “b-roll” shots to make it look like multiple days. Colors that work well include blue, green, burgundy, gray, pastels (not too pale), earth-tones. Wear solid colors. Avoid seasonal looks such as heavy turtlenecks or tank tops. Go generic, such as a soft v-neck sweaters, polo/tennis shirts, trendy blouses, or anything else you might wear to work or when meeting clients. Wear clothing that feels good to you in a style that suits your position. Do not wear something for the shoot that you would not ordinarily wear. Wear your eyeglasses if you want, but expect to be asked to tip them up slightly to avoid reflection. If they darken when the sun is out, they will darken under the lights. Avoid this. If there is a company uniform- wear it! If there is a requirement for safety gear (PPE) – wear it! If there is a signature name badge or company pin – wear it! If it does not fit well – DON’T wear it! Relax and have a great shoot!!! You have taken the plunge to produce a great company marketing video for your inbound social media campaign and website. At last, the shoot day has arrived. Prepare your surroundings. If tidy matters, do this in advance of the first “action” call. TIP: not everyone is photogenic – enough said. Prepare yourself. If you will be interviewed, you should feel comfortable talking in a conversational tone about the business. TIP: DO NOT rehearse. We promise you’ll be a lot happier with the results. Think product-placement. This is your chance to really shine – remember to put your best foot forward. TIP: product placement should be subtle, the neon sign is never a good idea. Watch for distractions, such as humming lights, loud machinery, bright windows, street noise, ringing phones, thin cubicle walls, keyboard sounds, other meetings, delivery people, clueless people….. TIP: everything is a distraction on the shoot day. Be prepared for sense-of-humor meltdowns. Your company video is an important reflection on you and your business. The quality of the finished product relies not only on the skill of the team shooting, video editing and producing it, but the effort you put in to preparing. OK, we’ll admit it. Sometimes you MUST do your own recording. Maybe the boss has asked you to capture a great client’s testimonial on video on your next trip to Hong Kong. Or maybe, just maybe there is ZERO dollars in your budget to capture the president’s farewell message to a long-time employee. Find a very quiet room. Ambient noise such as humming equipment, piped in music or nearby conversation will be highly distracting. Select a plain, professionally appropriate background. Do not sit in front of a window and avoid having windows in the shot. Place the iDevice on a solid level surface at about eye height. The subject should be approximately 3 to 4 feet from the phone. The picture can be vertical and should be centered. The top of the head should be within the picture frame. It will be helpful to brace or prop the phone in place so it does not shake during the recording. Enlist help with the recording. Have someone start the recording and read the questions if you do not have a speaker-phone interview. The helper should sit directly behind the iPhone, again at eye level. Speak directly to them. Do not shift your eyes around to others in the room. To record video, select the camera icon and slide to select video. Start by pressing the red button. There will be a soft chime and a timer will begin counting at the top of the screen. Stop the recording by pressing the red button again. Import the movie into iPhoto. The owner of the phone or tablet will need connect the device with their computer and open iPhoto to import the movie(s). Play and review the takes on the computer. Once imported, the movie(s) will appear in the last import window. If there is part of a take you do not want to use, the clip can be trimmed by clicking the sprocket icon. Good luck! Help can always be on the way…..